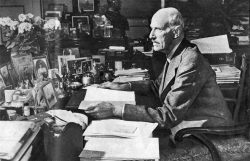 ( 03.08.1872 - 09.21.1957 ) was the king of Norway from 1905 to 1957. He was the son of King Frederik VIII of Denmark and Princess Lovisa of Sweden. His baptismal name was Christian Frederik Carl Georg Valdemar Axel , but was given the title Prince Carl of Denmark. He married 22 July 1896 with his cousin Maud Charlotte Mary Victoria of Saxe - Coburg - Gotha , Princess of Great Britain and Ireland ( 26 11.1869 - 11.1938 20 ) . Their only son Alexander, later King Olav V was born in England. 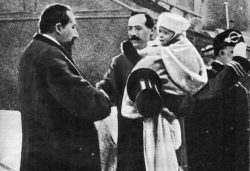 Prince Carl came to Norway 25 November 1905 as the country's " elected " King after the union with Sweden 7 June of the same year . King Haakon and Queen Maud were crowned during a ceremony at the Nidaros Cathedral in Trondheim 22 June 1906 . 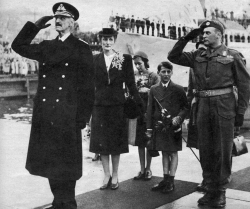 King Haakon VII was king for 52 years . He undertook many journeys and made himself familiar with different places in Norway . There was at least one reason why he won the sympathy of the people. His three grandchildren were born respectively in 1930 , 1932 and 1937. 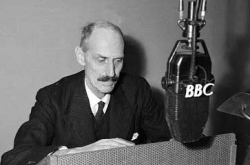 He was a widower when Queen Maud died in November 1938. When Germany invaded Norway in 1940 , rejected King Haakon the German messenger Dr. Curt Bräuer requirement to appoint a government led by Vidkun Quisling . The king cried when he 10 April told the government that if they acceptrd the German demands, he would abdicate . 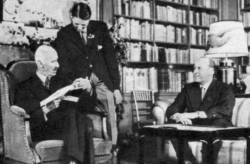 In 1947 Haakon VII was awarded the highest civilian honor in Norway , Borgerdådsmedaljen in gold. Burial 1st October 1957 was attended by a large crowd . King is buried in the white sarcophagus in the Royal Mausoleum at Akershus Castle with his wife Queen Maud . 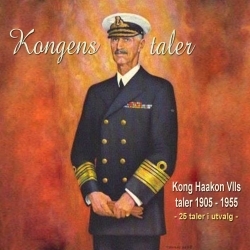 Excerpts from King Haakon VII’s speaches to the Norwegian people during the period of 1905 – 1955 are available for streaming and download. 11 page booklet availble when included. Eirik Poppe's movie "The King's No" (Kongens nei) from 2016 was a huge success, winning 5 prizes and Oscarnominated.